We offer you the fastest way to attract a stream of new customers through Social Media and Search Advertising. "I think if you're an entrepreneur, you've got to dream big and then dream bigger." You have a vision for growth. You have winning products or services. You have the funds to make it happen. A stream of new customers. Today's marketing tools can put your business in front of your most ideal customers. Click on a marketing tool to learn more. Reach your target customers when they’re most ready to buy. Combine engaging advertising with the power of social media . Nurture your leads and win customer loyalty without an ad budget. Use the psychology of words: copywriting is your marketing engine. Fact: Google Adwords remains a top customer-generation tool for online marketing. There are 3.5 billion daily Google searches worldwide. Adwords generates $80 billion in yearly economic activity. Amazon spent approx. $125 million each month on Google Adwords in 2016. 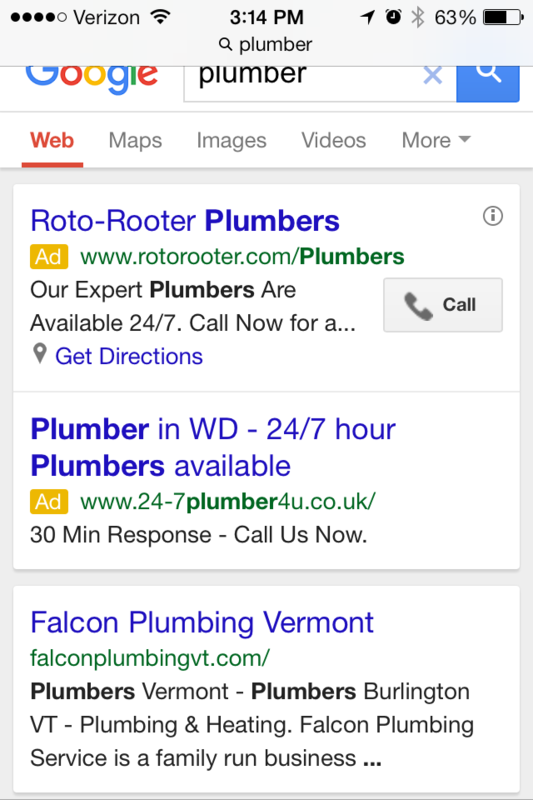 Unfortunately, Adwords is not designed for Do-It-Yourself advertising. On average, small businesses spend $1200/month on Adwords, yet they waste 25% of their ad budget due to strategic and managerial mistakes (WordStream 2014). The good news? We’re Google Adwords certified. We do comprehensive research to find your most profitable keywords. Our customized landing pages help you win at Google’s “bid auction” even with a lower priced bid than your competitors. 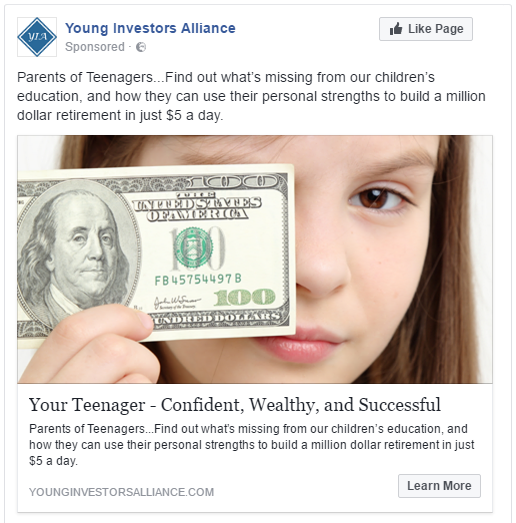 Your account gets regular grooming to make sure your ad budget is performing well. Adwords tracks an array of statistics so you always know how your budget is performing. You can increase or decrease your monthly ad budget at any time, or adjust particular campaigns—such as for busy or quiet seasons. SEO can take six months to see worthwhile results, which may never materialize. 45% of people polled could not tell the difference between an ad on Google and organic (non-paid) search results. Adwords is not just Google Search. Adwords lets you run banner ads on almost any website. You can also advertise on YouTube. Most small businesses try Do-It-Yourself marketing instead of professionally managing their Adwords account. Using a professional marketer is a smart way to win against competitors. Over time Adwords will help you discover what words people use when thinking of your product or service. Use this information to enhance the language and effectiveness of your other marketing material. Fact: With 2 billion monthly active users, Facebook is the #1 most used app in the world. Facebook also owns the 3rd, 4th and 6th most popular apps (Facebook Messenger, WhatsApp, and Instagram). Facebook is growing in popularity . When Facebook hit 2 billion monthly active users in 2017, 66% of users were returning daily, compared to 55% when Facebook hit 1 billion users. Small businesses are under-utilizing Facebook advertising. As of Sept. 2016, 60 million business have a Facebook business page. Yet, only 4 million businesses are actively advertising on Facebook—that’s just 6% of the business pages out there. Conclusion? There’s a lot less competition for small businesses who advertise on Facebook. Should I use Google Adwords or Facebook? This is like asking if you should accept Visa or Mastercard? Most businesses should use both platforms. As a starting point, we help you determine which one provides the highest and quickest return on your investment. Facebook is still viewed as a new advertising platform for most small businesses. It’s very likely that your competitors are not yet advertising on Facebook. People actually leave comments on your Facebook ads. Comments give you a unique opportunity to engage in conversations directly with your market. You can gather valuable feedback and build trust in your brand. People go to Facebook largely for entertainment. The more engaging your ads are, the cheaper they will cost, and the greater response you will see from your target market. Facebook gives you access to even better targeting features so your ads reach your most ideal customers. Currently, the cost to reach 1,000 people on Facebook is usually much cheaper than advertising to 1,000 people via newspaper, magazine, radio, cable TV, and even Google Adwords. 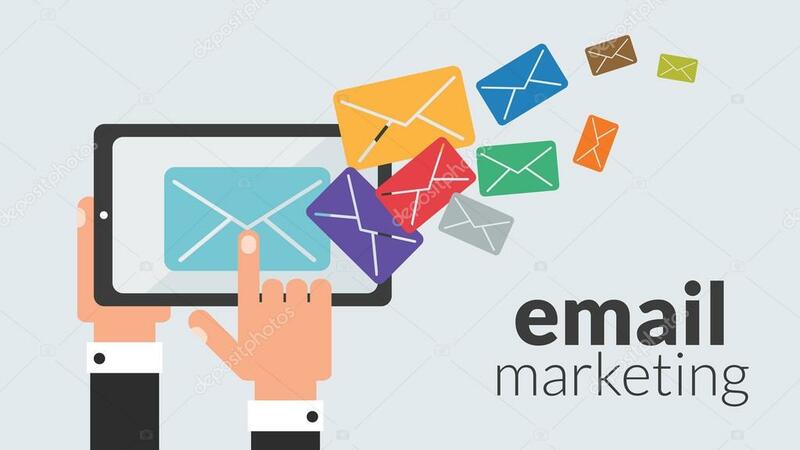 Fact: Although hours-per-day spent on email communication has declined somewhat with the advent of social media, email marketing still holds the greatest ROI for businesses. Low-cost, high-return: The cost of sending a message to your subcribers list is virtually free, compared to paid advertising. Customers want to hear from you. 86% of consumers would like to receive promotional emails from companies they do business with at least monthly, and 15% would like to get them daily (Statista, 2015). 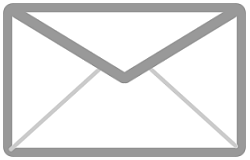 Email lets you send special offers, promotional messages, educational content, company news, blog posts, video content, technical updates, feedback questionnaires, and more. Building your business on Facebook is great…until they shut down your account. Advertising platforms (Facebook, Google, LinkedIn, etc.) can and have shut down advertiser accounts at their own discretion. Your email list is the only marketing channel that you actually own. Email automation uses “trigger events” such as a purchase, sign up, download, or link click to send out automated emails relevant to specific customers. Automated communications means you can focus on other aspects of your business. Email segmentation allows you to divide your subcribers into groups. This allows you to send them marketing messages tailored to their needs. For example: instead of sending a generic message to your entire list, you can send one message to new prospects, and a different message to repeat customers. Facebook’s AI system can analyze your email subscriber list to help you discover and advertise to Facebook users who are similar to the people on your email list. This is one of the most valuable uses for your email list. Your email subsciber list can be a valuable asset in joint ventures. Team up with other businesses for mutual gain by sending out special promotions to your email list. Example: A hotel could offer subscribers an exclusive discount on a rental car service. 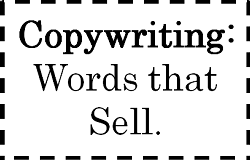 “Copy” is professionally written text for ads and marketing materials. Fact: The most sought-after commodity today is human attention. Professional copywriting is designed to grab attention, build trust, generate desire, and lead to action. Think of the words on your website and other materials as the engine behind your marketing. 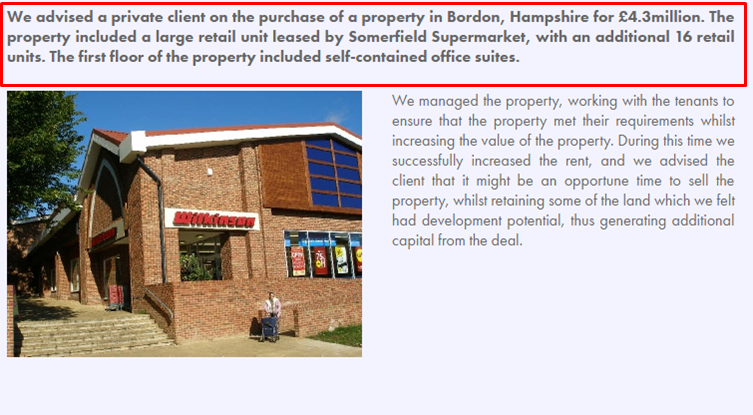 A commercial real estate company contracted Green Stream to rewrite their website’s case studies. 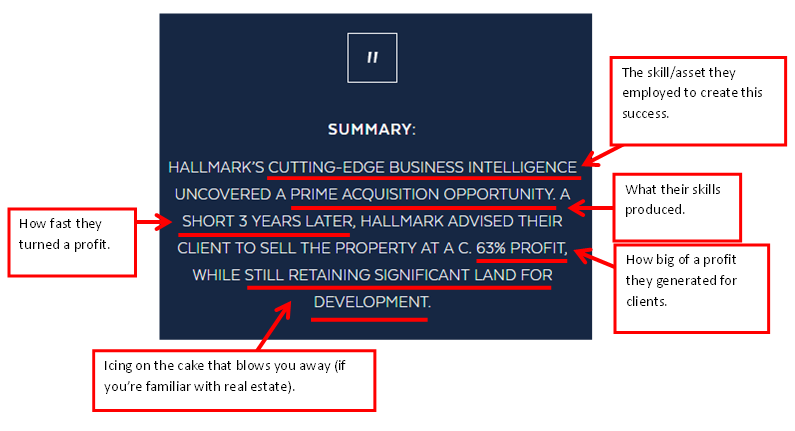 In the re-write, we used professional copywriting techniques to press all of the right buttons for real estate customers. Writing fluffy words that sound professional. Something you just whip up from nothing. Sleezy sales pitches in writing. Defined by real customer and business information. Critical to every written piece of marketing. Daniel Keebler is a highly talented copywriter and content strategist. Our whole team enjoyed working with him, and he provided sound marketing strategy for our website, in addition to excellent copy. Daniel has our best recommendation. Daniel’s unique blend of strategic analysis and creativity has made his work a high value ROI for our business. Daniel Has been instrumental in expanding my business marketing. He is doing a wonderful job, and is honest and a pleasure to work with (which to me are of primary importance). I look forward to continuing to work with him and highly recommend his services to others as well. We usually write back to you within 24 – 48 hours. We bring you great customers. © 2017 Green Stream Marketing, LLC.